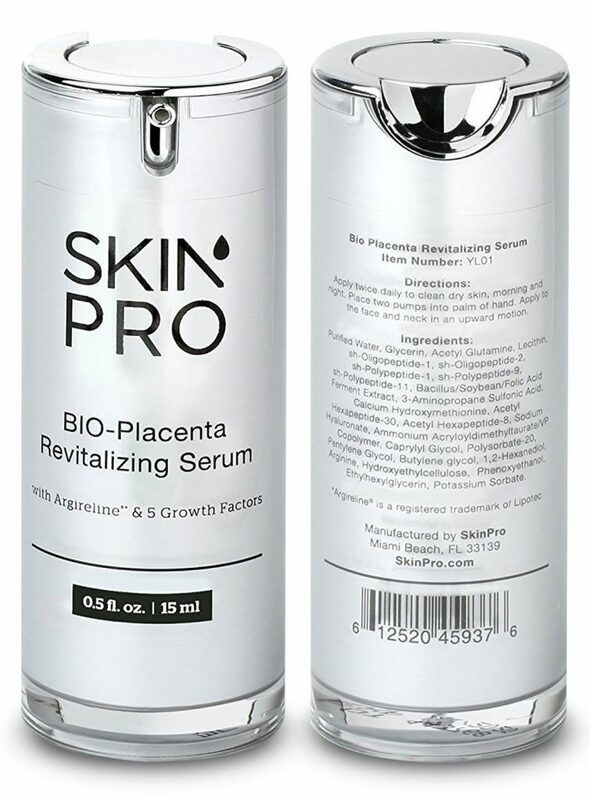 At SkinPro, we take pride in staying on top of the latest trends in the anti aging skin care industry. Whether than means making peptide-rich creams based on laboratory tested ingredients from our research partners, going the organic route, or diving into the cannabis skin care product market, we’re always here to produce effective products for our loyal customers. That’s a powerful statement from a highly credible source, and as someone who has always stayed on the cutting edge of industry trends, I’m awfully excited about this new opportunity for SkinPro and the anti aging market in general. Hemp encompasses all of the varieties of the Cannabis genus that have only trace amounts of THC, which is essentially what “gets you high” since it makes marijuana psychoactive. 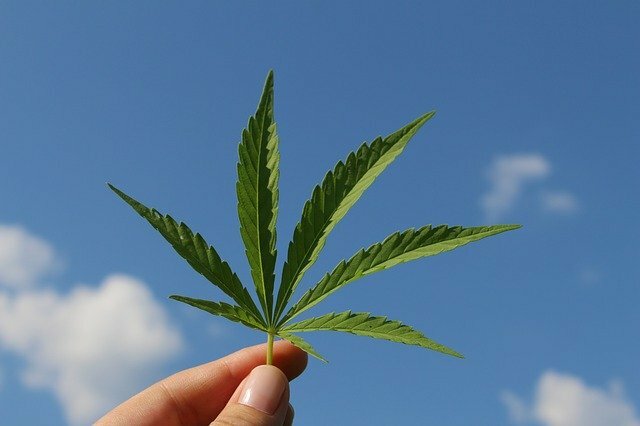 There are many breeds of Cannabis, but most people only think of it as marijuana. There is a huge confusion in our society between the term hemp, and the word marijuana. Hemp is a non-drug variant that is produced at an industrial level and used for it’s seeds, hurd, and fiber. There are many uses for hemp. You’ll find that the seeds are often used in dietary products. Most recently, I see them showing up at raw juice boutiques and even in protein powders. The hemp seed can also be pressed and used as oils. My first foray into hemp oil was when we made the Hemp Intensive Pain Reliever with Emu Oil, which is a more natural way to relieve pain in comparison to taking Advil or worse – prescription pain medicine. As someone who is active, I get my fair share of bumps and bruises, and I personally use this product to alleviate pain and swelling. Another product I use on a daily basis is the Hemp Oil Eye Cream. This firming cream goes on under the eyes and works to plump and soften the skin. I’m a supporter of any ingredient, natural or manufactured, that can assist with longevity. Hemp has gotten a black eye over time because people in higher places formulated an opinion that the plant that it comes from has a “scorned cousin” (aptly named by Bourque in the aforementioned Forbes article) named marijuana. For years, the prohibition of hemp in the United States has held back the potential for more jobs for farmers, personal care products for consumers like you, and natural relief for people suffering from various ailments. The reality is that hemp can’t get you high. The Ministry of Hemp has the best explanation of what marijuana and hemp are both capable of doing. Follow this link for an incredible breakdown. So how did we get to this recent Farm Bill, which essentially advanced us to the time where hemp is going to be completely legal and widely accepted? Possession of cannabis and hemp was outlawed way back in 1937, after an act was passed. Mind you, the British were growing hemp for hundreds of years since colonization! The late 1960’s showed a sign of hope, with the repealing of that law, but cannabis was labeled as a Schedule 1 drug, which essentially puts it in the class of heroin, if you can imagine that! The Farm Bill of 2018 is a step towards normalcy because it reclassifies hemp for commercial uses and removes hemp from the Controlled Substances Act. Since hemp does not have much THC, (again, the part that produces a high), it moves it off of the DEA’s radar and onto the U.S. Department of Agriculture’s. Hemp Pilot Programs are now in place. These programs encourage a framework for legal cultivation without permits from the DEA. So far, the pilot programs in place have been a success for farmers and consumers, according to Forbes. It’s an exciting time for consumers because there are numerous advantages of hemp and cannabis. We’re proud to be on the forefront of the industry producing products that have quickly become top sellers in their respective categories. 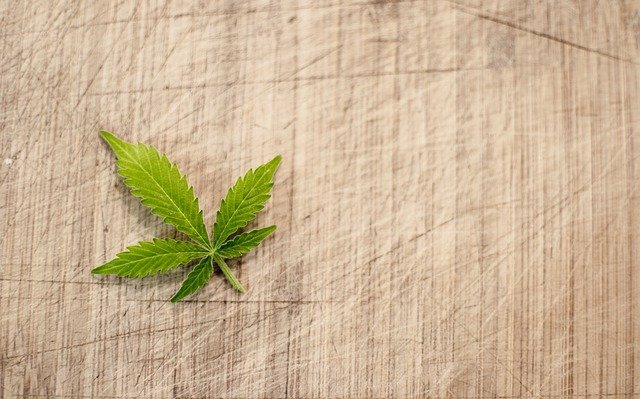 Why is Cannabis Good for Your Skin? Before cannabis was prohibited, there was a cannabis elixir on every shelf because it reduces inflammation and pain like very few ingredients can. At the root of so many skin conditions, inflammation is no joke. Maintaining anti-inflammatory and antioxidant properties, cannabinoids have the ability to reduce swelling, soreness, and puffiness. It’s literally the biggest buzz word in the skin care and beauty industry, but it should have been something mainstream in our lives, but thanks to prohibition, it hasn’t resurfaced until now. Hemp-derived CBD is legal in all 50 States. It’s a great time to be alive! Look for more news about our full line of CBD skin care products in the very near future. There is currently a new type of skin cell therapy known as platelet rich plasma. It’s also known as PRP, which is obviously an abbreviation. At this point in time, certain doctors are beginning to use injections of PRP to help heal the skin. It’s also being used to stimulate hair growth as well. Ultimately, this therapy is beginning to make headlines because elite athletes and celebrities are starting to use it on a fairly regular basis. Athletes are using it because it’s also capable of helping them recover from their injuries faster. Celebrities use it because it’s skin cell therapy that makes them look younger and more beautiful for the cameras. We’ll take a moment to better explain platelet rich plasma for you below. Stick around to discover the truth about this current phenomenon. First off, doctors are beginning to use platelet rich plasma fairly regularly now for a number of different reasons. But for the most part, it is capable of encouraging healing, which is why athletes are getting so many great benefits from it because it helps them heal from their injuries much faster than traditional therapies. It’s also great because it can reduce inflammation. Inflammation can cause all sorts of problems in a number of different ways, so reducing it is certainly a good thing for multiple reasons. When compared to certain other treatments, PRP injections aren’t that expensive. In fact, these injections range anywhere from $500-$2000, which isn’t that much if you consider how long it might take you to heal if you let things happen naturally. Plus, from a skin care perspective, PRP injections are amazing because they can help stimulate skin cell growth and make your skin look younger, suppler, smoother, silkier, and a heck of a lot more attractive. So PRP injections are definitely becoming a regular part of the skin care game as well, which is why vampire facials are currently all the rage these days. There are certain side effects to consider if you are going to try PRP injections. Mild nausea is one of them. Many people are happy to live with temporarily since the benefits are amazing. Dizziness and passing out are other potential side effects. For the most part, dizziness is mildly annoying but you can certainly deal with it. Passing out is another story altogether. If you think you might pass out, you may want to take a rest and spend time at home for a while before venturing out into the world again after a treatment. It can stimulate hair growth when injected directly into the scalp and reduce inflammation that typically causes hair loss. It can heal tissue in the muscles, ligaments, and tendons, which makes it easier to recover from injuries. It can reduce inflammation which can lead to joint pain and other types of pain. By eliminating inflammation, you’ll be able to feel better much quicker. Recognizing the obvious benefits, we’ve formulated a product meant to mimic this amazing procedure. We call it the “PRP Facial Serum.” Also featuring epidermal growth factor, t’s one of our better selling products! Check it out on this page. Platelet rich plasma is a new form of therapy that is quite promising. If you need skin care help or you’re trying to recover from hair loss or tissue damage, these injections could definitely speed up the process and help you overcome the issues that ail you. What Is Epidermal Growth Factor? Many of you may be interested in anti aging products at this point in your life and you may have discovered EGF, also known as epidermal growth factor. This ingredient is an important one in many of today’s leading products to help reverse the hands of time and repair your skin. To help you better understand, we will provide a more detailed explanation of EGF, the benefits, and tell you whether or not we feel you should consider it. So stick around to learn more. Epidermal growth factor is a single chain, non-glycosylated protein. This protein is a part of our normal skin cells and it occurs in the body naturally. For the most part, the main job of EGF is to help heal the skin. It does so by promoting cell proliferation and DNA synthesis. There is a receptor known as EGFR, which obviously stands for epidermal growth factor receptor. When EGF binds to EGFR on the surface of the skin cell, it creates a signal that leads to skin cell differentiation, proliferation, and the survival of the skin cell itself. EGF is very powerful and it could help in a number of different ways. Not only is it there to repair skin cells, it can also repair mucosal, intestinal, and corneal wounds. In fact, this growth factor is so important that in 1986 Stanley Cohen, a biochemist, and Rita Levi Montalcini, a biologist, won the Nobel Prize for Medicine because of its discovery. As you can imagine, there are a number of excellent benefits associated with EGF. By adding epidermal growth factor to certain anti aging products, companies have had an opportunity to really improve their offerings because of this important growth factor and what it can do for skin cell health. EGF boosts collagen production. This production is critical to the health of healing the skin. Since collagen is a number of proteins located in the connective tissue, it can make the skin more elastic and supple and ultimately make skin look much younger. EGF boosts elastin production. By boosting the production of elastin, the body will naturally heal the skin and make it look younger once again. Elastin is actually very elastic, which means this protein can help connective tissue snap back into place after it is stretched, which will obviously help eliminate wrinkles and sagging skin. 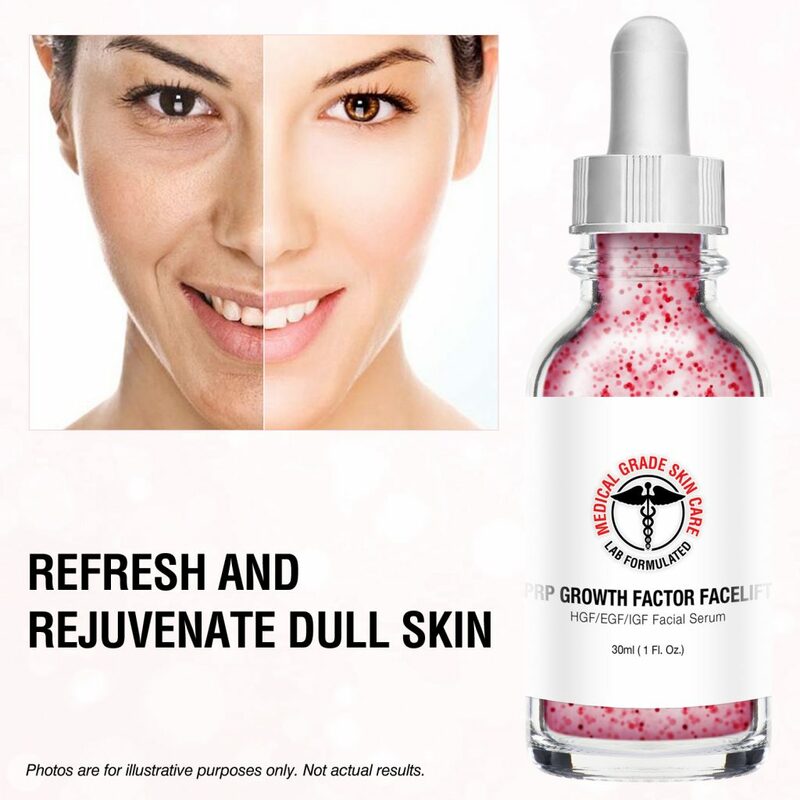 EGF stimulates new skin cell growth. By creating new skin cell growth and improving the skin barrier, EGF makes it possible for the skin to hang onto moisture better so it ultimately feels softer and smoother. EGF inhibits melanin production. By inhibiting the production of melanin as wounds heal, it can reduce the signs of hyperpigmentation and even help improve some of the marks and scars caused by acne. Epidermal growth factor is definitely an excellent addition to many skin care products. It helps eliminate wrinkles, brightens the skin, and keeps it hydrated. So it’s definitely worth trying products containing this ingredient because they should be better than the alternative. Hey, everyone! I sincerely hope that Summer has treated you well! We have many exciting pieces of news for you today as we gear up for the Fall Season. First, we’re proud to announce that our fulfillment headquarters has moved to New York! After ten years of being near our laboratories in South Florida, we made the decision to expand our team and vertically integrate our customer service and fulfillment into one destination. This will allow us to have a more personal touch with all of our customers as well as benefit from all of the business opportunities that New York offers us. 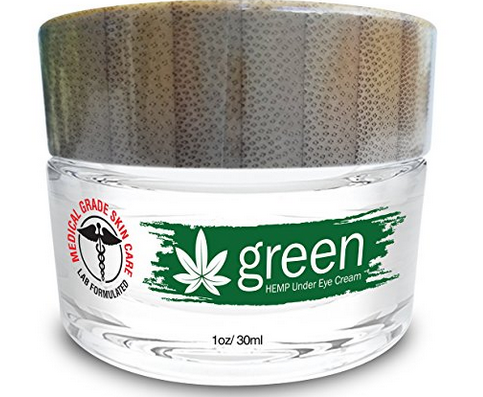 This under eye cream with CBD extract is one of our current best sellers. an organized shopping cart and have the additional benefit of adding items to the cart to save money on bulk purchases. In addition to this, we’ll be doing exclusive product bundles and combos that will not only benefit your skin, but also save you some serious cash. While we’ve been thriving on Amazon, we have fielded many queries from customers of ours who want to shop directly with us as well as International customers who may not qualify for Amazon Prime. For this reason, we’ve put a lot of effort into this new interface, and we’ll be launching in with a major sale. Stay tuned! We’ll also be adding an entire tutorial section to the site offering up advice and best application practices for each skin care product we offer. While this is a major undertaking, our goal this year was to add a more personal touch to our experience. It’s almost done! Lastly, until our new shopping experience is done, we’re happy to announce a store wide 25% off sale on Amazon. 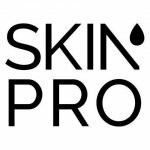 Simply use this link and you can enjoy EVERY SkinPro product you add to your cart will be discounted by 25%. Current hot sellers are our recently released under eye cream made with hemp, and our Seductiva Eyelash Growth Serum. Of course, long time customers and new customers alike will enjoy this massive savings our on flagship product, Elite Eye Serum Rx. Please stay tuned for the launch of our new shopping experience as well as another massive sale! 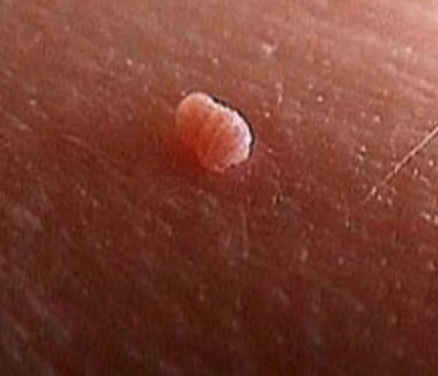 In an earlier post, we talked about the causes of skin tags. Now that you know why they form in the first place, you can make better decisions and lifestyle choices to keep skin tags from taking shape on your body. Nobody likes the unsightly look of those tags of loose skin, so prevention is key if you want to keep them from forming at all. First off, if it’s too late and you already have some skin tags on your body, we recommend our Extreme Skin Tag Remover product to safely and quickly remove those ugly blemishes. Once they are all gone, you can heed the following tips to keep them from coming back. One thing that you can do is lead a healthier lifestyle. It has been indicated by medical research that skin tags are a pre-diabetes symptom. Consuming too much sugar, saturated fats, and other unhealthy food can lead to becoming overweight or obese. As mentioned in our previous post about how skin tags are formed, these conditions are ripe for creating skin friction that leads to the formation of skin tags. By making wiser choices for your lifestyle and diet, you can lose weight and become healthier and alleviate the potential of skin tags from arising from the extra folds in the skin that cause friction. You can’t make a drastic difference overnight, but adhering to a healthy diet and exercise routine will pay off in time and reduce your chances of getting skin tags, as well as promote long-term health in general. In the meantime, while there are extra folds in the skin, there are also friction-reducing powders that can be used. Skin tags are most commonly found in the neck area, between the legs (the groin), armpits, and under the breasts – basically everywhere there are folds and two surfaces of skin are rubbing together. There are medicated powders that can help lubricate this friction to reduce irritation and keep the area dry. Another thing that you can do is stay away from wearing tight clothing. If your clothing is tight, your skin will be rubbing against it with every movement you make. This is why many women experience skin tags on their back, shoulders, and around the breasts, as the bra (and bra strap) lead to friction on the skin. It is also why wearing a necklace can increase the potential for tags on the neck area. Choosing an outfit that has a more relaxed fit can reduce the chances of rubbing against the skin and lessen the potential for tag formation. By making the above lifestyle changes, we can’t say for certain that skin tags will not form at all, but implementing them will greatly reduce the factors that lead to them arising. Some are easier to undertake than others, while some are short-term changes and others require a more long-term effort to take effect, but making these alterations can go a long way to keep these blemishes from popping up. 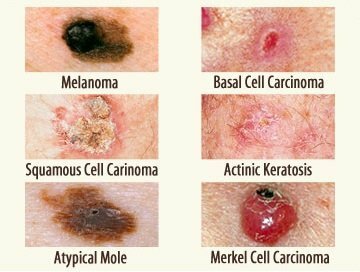 We talked earlier about what to look for in a mole to determine whether it is cancerous or not, but at what time should you raise the alarm? What are the signs that you should seek the advice of a doctor on whether it should be removed and a biopsy performed? This post will serve as a handy guide for the characteristics to look for, and let you know when that mark on your skin is in need of a further diagnosis. Is This Mole a Cause for Concern? It has been beaten into our heads over and over that we need to be protecting our skin to prevent it from getting too much direct sun exposure, and also to pay special attention to our moles. But how do you know exactly what kinds of things to look for? Is it a normal mole or a sign of something more serious? Hopefully, these tips will give you a clearer picture and alleviate any concerns that you have. One quick piece of advice that we thought was pretty apt is that moles are like a family. For any mole that you have, there should be one (or many) other moles on your body that looks similar to it. If you have an individual mole on your body that does not fit on your body or looks different from the rest — whether it be in size, shape, or color — then it is recommended that you seek guidance from a skin care professional. A simple device that you can use to self-monitor yourself is called the ABCDE Rule. This is a mnemonic device that can help to remember the signs to look out for when checking over your moles. 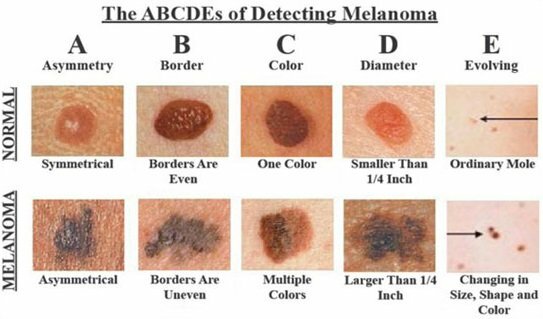 See the image below for an explanation of what each letter represents, as well as photographic examples of a normal mole and a cancerous mole for each descriptor. We love having a handy device like this, and it is pretty self-explanatory. A is for Asymmetry – the mole should be pretty uniform on both halves or around all sides. B stands for Border, which should be smooth and even without any irregular outcroppings. C stands for Color, which should be mostly uniform brown throughout. D is for Diameter, and a normal mole should be about the size of a pencil eraser. Lastly, E is for Evolving. A mole should not change over time after it forms (more on how moles form here). If it evolves in color, size, or shape over time, it is time to have a doctor look at it. Even if a mole is normal and non-cancerous, many still view them with trepidation as if they may be something more serious than a skin blemish that can be removed with a product like ours here. By following the identification tips above, you can ease your worries about the moles on your body, or be more assertive when you find something that is amiss and get it professionally looked at to be diagnosed and treated early. Skin cancer is no joke, but early detection of this type of skin cancer is highly effective. Armed with this knowledge you are in much better shape for taking care of yourself. What Causes Moles on Your Body? 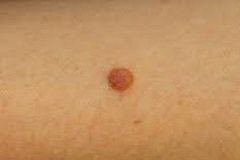 In an earlier post, we talked about how to identify a cancerous mole. While that is a handy guide for giving yourself a self-diagnosis, it doesn’t answer the questions of how and why those moles form in the first place. Mole growth can be perfectly normal, provided that they are of the non-cancerous form, and can be easily answered in our post below. Why Do Moles Grow on the Body? Moles grow in a much similar way to freckles or other dark pigmentations on the body. 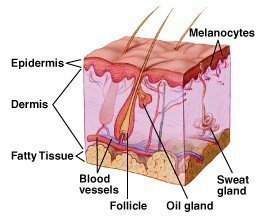 Down to the most simple explanation, they occur when skin cells grow in a thick, dense cluster as opposed to being spread evenly throughout the skin. The scientific name for these skin cells is “melanocytes”. These melanocyte cells are what produce melanin, a term that you have probably heard before. Technically, a freckle is also caused by melanocytes, though there are distinct differences in a freckle and a mole. Melanin is what gives the skin its natural pigment, as well as the color of your hair and even the shade of the iris of your eye. They are found in the top two layers of the skin. When you are exposed to ultraviolet rays from the sun, the melanocyte cells produce more melanin which leads to a darkening of the skin. When exposed safely, this leads to a natural tanning of the skin. While there is no specific reason for when melanin is distributed evenly (a suntan) versus when they are developed in clusters, moles form when there is an uneven distribution and a dense cluster of melanin leads to a mole on the skin’s surface. These can form anywhere on the body, though they most often manifest themselves on the arms, hands, face, neck, and chest – which shouldn’t be too surprising, as these are the areas of the body that receive the most direct sun exposure. Most of the moles on your body form in the first twenty years of your life, though it is not uncommon (or unsafe) to see them develop in your later years. Some moles, called Atypical or Dysplastic Moles are thought to be hereditary. 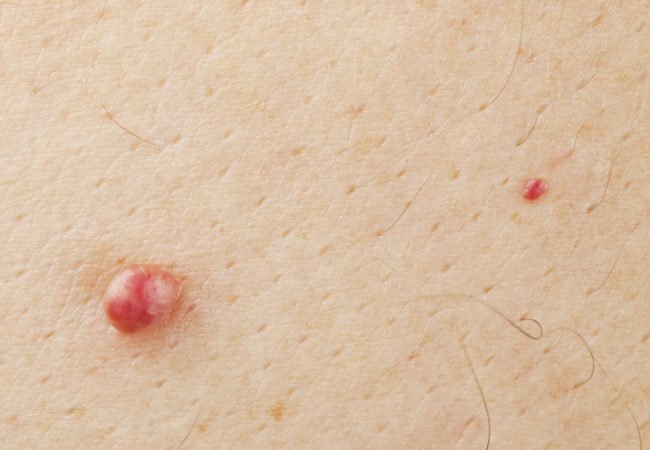 These moles tend to be slightly larger than a pencil eraser and can appear anywhere on the body, though they are most often seen on the back and rarely manifest themselves on the face. Congenital Moles, which are also called congenital nevus, are moles that you have had since birth (so obviously they are not brought about by sun exposure). It is estimated that 1% of the population has these moles on their body, and they are caused by prenatal issues such as the growth of fatty tissue cells. Moles are mostly caused by clustering of melanin as a result of sun exposure, though some can also be genetic or present at birth. In any case, a normal mole is, for the most part, nothing to worry about and can be safely removed with our product here. You can see our previously linked post (in the first sentence) on how to determine whether a particular mole is cause for concern or not, but by and large, they are non-worrisome blemishes on the skin. When it is found early, skin cancer can be one of the most effectively treated types of cancer that you can be afflicted with. When it comes to early detection, you need to know what to look for. Sure, most of us have a mole or two (or more) on our body somewhere, but how do you know if it is a harmless mole or something more serious and cancerous? Given that skin cancer can visibly manifest itself in many different types of moles, it is best that you visit a dermatologist or a physician to get a proper checkup and diagnosis to take a look at moles and lumps on your skin. If you want to give yourself a quick look, however, we’ll take this time to go into detail on what to look for in determining if it is a cancerous mole or not. How Does a Cancerous Mole Look? Again, if you want to get an exact determination of what you have on your skin, whether it is safe or not, consult a medical professional. When taking a look at yourself (and you may need a partner to help take a look at any that you may have on your back or other hard to see places), then these are the kinds of things that you should be looking for. Perhaps just as important as knowing what a cancerous mole looks like, it is just important (and perhaps even easier) to identify what a normal mole looks like so you know that you don’t have to worry about it. Normal moles, for the most part, tend to be evenly colored with a brown color, and can be lighter like a tan shade. They can also be a black spot on the skin. These moles can either be flat or raised, oval or round. They are generally about the size of a pencil eraser (about 1/4 inch across). They, for the most part, stay the same size and shape and color for many years. For more information, see how moles form in this post. On top of these factors in the ABCDE rule, there are a few other things to monitor. 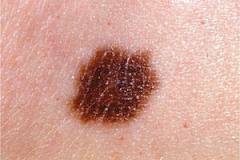 Other signs of a cancerous mole are that it develops a sore that doesn’t heal. it may also have some redness and swelling creeping out around the border of the mole. Be cognizant of it having an itching sensation, or tender to the touch. Now that you know what to look for, give your body a close examination to determine if the moles you have are normal or a sign of something more serious. When in doubt on any of them, seek the diagnosis of a medical professional. Skin cancer is no joke, and it’s always better to be safe than sorry. 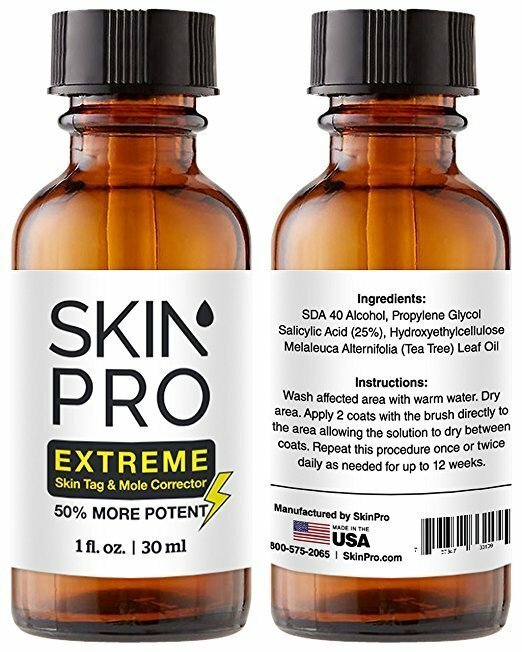 If you have a mole you would like to safely remove from the comfort of home, check out our SkinPro Extreme Skin Tag & Mole Remover – see this page for more information.